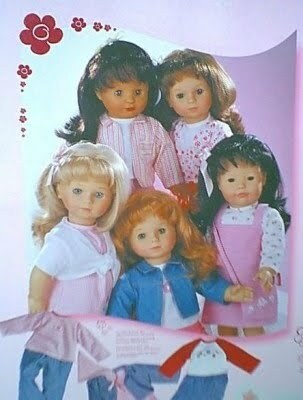 The Precious Day line of dolls is the play doll line that is most similar to American Girl 18" dolls. They have been made by Götz since 2002, for the first two years with the same face mold used for the Little Sisters line of dolls that Götz made for iDolls.com, and since then with a different face mold that Götz had used for play dolls for many years which collectors refer to as the Starshine mold. Starting in 2013, Precious Day dolls will use the same face mold as the earlier Götz Stolle dolls.